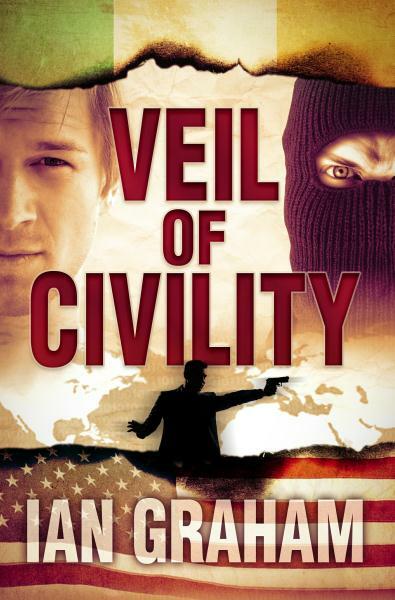 If you’re a fan of political/technothrillers, you’ll enjoy Veil of Civility. This plot is literally ripped from recent headlines…frightening that Graham made the Chechen connection to terrorism in this book long before the Boston Bombing. “Ian Graham delivers a slick, well-executed thriller with Veil of Civility. The novel’s plot flows extremely well, with no gaps, and just enough back story to explain the motivations of a fascinating cast of characters. There’s a lot to like about this novel, and I found myself constantly stealing time to continue reading. Declan McIver, former IRA commando turned legitimate business owner in the United States, finds himself embroiled in a conspiracy ripped from today’s headlines. An invitation from an old friend catapults McIver into a cat and mouse chase on par with Ludlum’s Jason Bourne series. His adversaries are relentless, employing technologies and ruthlessness that will leave you breathless. Spanning two continents, the chase is brilliant and worth the price of admission alone. Graham doesn’t let McIver off easy. Not in the least. The author paints a painstakingly realistic picture of how difficult it would be to go “off the grid” with the wrong people looking for you. He kept me in suspense throughout novel, never giving me the sense that McIver could rest, or that I could rest…I had to keep reading! Declan McIver and his nebulous former IRA unit, Black Shuck, is exquisitely crafted from what appears to be exhaustive research on Graham’s part. Linked to a top-secret (and existing) Russian spetsnaz unit, Black Shuck is a devastatingly scary and utterly enthralling concept. Graham’s research is a strong point, and as a reader, I highly appreciated the way he weaved this research into the story. Though purely fiction, he integrates aspects of history into a speculative array of back story that is so convincing, that I found myself hopelessly immersed. Graham spends considerable time delving into Declan McIver’s background, giving the reader a well-redacted history of Ireland’s turbulent recent history. I’m hoping that Graham plans to bring McIver back for future novels. He is by far one of the most interesting and crisply drawn thriller characters I’ve read in a long time. Veil of Civility succeeds on many levels. As a political thriller, it far exceeds expectations. Behind the gut wrenching at of terrorism at the story’s core, there is a sinister plot afoot, embroiling senior politicians and law enforcement agents. With unexpected plot twists lurking everywhere, these behind the scenes manipulators nudge (in many cases push) the plot forward toward its unthinkable conclusion. This is a conspiracy of the highest order, set in motion to satisfy a powerful agenda.